The painting shown here is from about eight years back, a 30″ by 40″ canvas that is titled In the Revealing. It’s a favorite of mine and hangs in the studio where I can see it from my desk. It has never hung in a gallery and most likely never will. 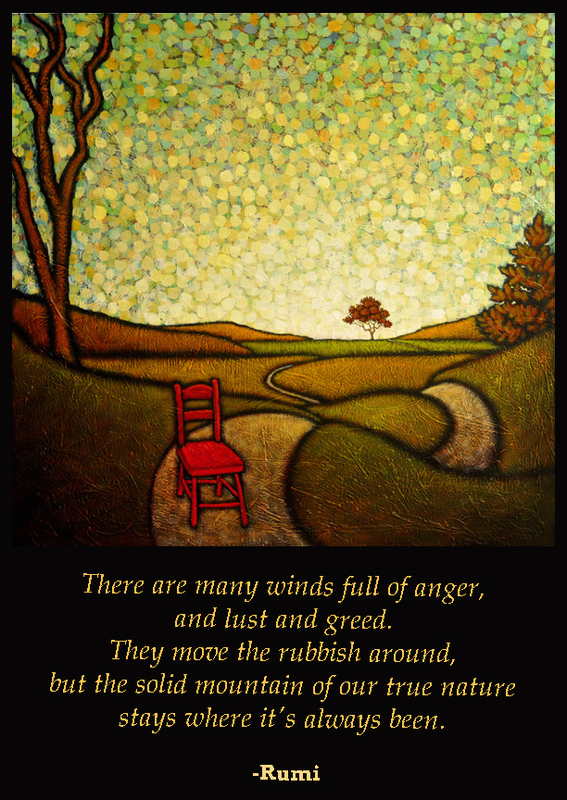 For me, it very much relates to the thought in the words of Rumi shown above. When all is said and done, our true nature is a constant. It endures the worst of this world and keeps us grounded when things look bad because it tells us that those things which were once important, remain so even when the chaos of this world seems have wholly obscured them. In times like this, this painting reminds me that true nature endures. And that is an important thing to remember.